Coming into nextevent the Chill Perth 360, Pepsi Max FPR’s Will Davison leads the Championship.The scenario was the same last year, and while Davison was caught up in an accidentduring Saturday’s race – the first of three – he came back to winboth attempts on Sunday. But prior tothat, Barbagallo wasn’t a place of happiness for Davison. 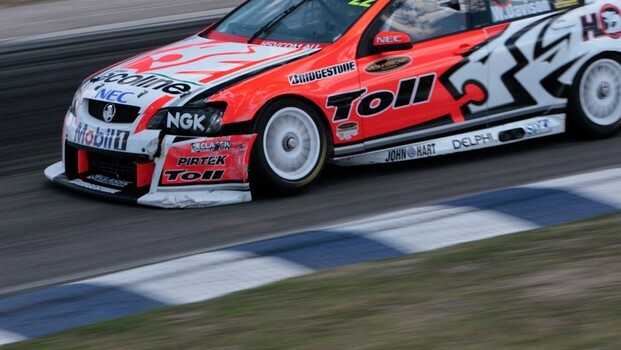 In 2009, when he waswith the Holden Racing Team, Davison was second in the Championship. He was trailingJamie Whincup, but the Western Australian race weekend was the second last of the season, and the title was well within grasp. Davison wasdriving a Holden, Whincup a Ford. Whincup wonthe first race of the weekend but it was Sunday’s turn of events that changedeverything. Davison recorded a DNF (did not finish) after crashing at pit laneentry. 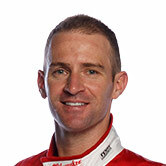 Davison remembersthe day, but feels racing at Barbagallo is different now it’s back to featuringearlier in the calendar. “It’s a verydifferent thing being the second last round of the year,” the current pointsleader said. “(In 2009) theintensity and the pressure was really hot. It’s hard to explain – I’m goinginto Perth leading now, but it’s a very different mindset as it’s early inthe Championship. “You knowyou’ve got so much of the year to play out, so it’s about laying a solidfoundation. “At the end of’09 it was massively intense and a make or break weekend – the stakes wereextraordinarily high. “What can I say– it was going quite well that weekend, I was quite competitive, qualified well,was right there in the hunt and for those circumstances to unfold, it was afeeling of disbelief, really. “We’d beenputting in a solid showing, been right there in contention with Jamie. “There hadbeen an incident on the track and the whole pit lane had been littered with amassive amount of oil and radiator coolant, which caused six cars to crash intothe pit wall. “I was on the otherside of the track when it happened and hadn’t been made aware of the conditionof pit entry. I came in for a stop with the Safety Car out and pit entry was likean ice skating rink. Davison wasdisappointed at the time and while he felt Whincup deserved the title thatyear, Davison had hoped the racing would’ve gone down to the wire on-track. The only thingto do before returning to a circuit where a big disappointment has occurred isto clear your mind of it, according to Davison. “You learn todeal with so many situations, ups and downs, and you don’t think about them toolong into your career. “It’s achapter that makes for a great story one day – the bad days make the betterdays sweeter. I’m never bitter about the past and try and learn from myexperiences to become better. “(Barbagallo)has been pretty kind to me – in 2011 I scored my first ever podium with FPR andlast year had two race wins. And I’m going there again leading theChampionship, so like every round, it’s very important. “I wasshattered Saturday last year because I knew I couldn’t afford for that (accident) to happen. “I knew I wasin a great position to win the Championship – I had a great team and car –and you can’t afford DNFs to happen, whether they’re your fault or not. “Mistakes can’tbe made and that’s what has gotten me in the lead this year – no errors. You can’tlet off the throttle or back off your intensity one bit or you’re back in thepack.